Here we see Judah emerge as the premier leader in his family. However, this is surprising on multiple levels. For one, Judah is the fourth oldest among his brothers in a culture that always preferred the firstborn (Gen 35:22-26). Secondly, Judah is the one who recommended selling his brother Joseph into slavery out of greed (Gen 37:26-27). And lastly, Judah is the same man who just a few chapters earlier slept with his daughter-in-law and tried to have her burned alive (Gen 38). For the longest time I wondered why and how Genesis chapter thirty eight even made it in the Bible. It seems so random, gross, and unnecessary. The story of Joseph has just begun and all of a sudden it’s like the author decides to cut to a vulgar commercial break. So why is this crazy chapter a part of our sacred text? As I grow older I’m starting to see things I didn’t see before. I’m starting to see more of the nature of God. For instance, I’m starting to realize that he is not content to be merely loving, but desires to be gracious. God desperately wants his people to understand that his love is undeserved. He wants us to receive it as a gift, rather than a wage. Through these lenses I can see why Genesis chapter thirty eight is absolutely necessary. It’s because it intentionally makes Judah out to be a monster. And why is it important that we think so lowly of Judah? The answer is simple. So that we will think all the more highly of God when he chooses to use him. There is no logical reason why Judah would ever deserve to be the leader of this family. It is clear that Judah is chosen not because of what he has done, but in spite of it. It is by grace and grace alone that God has called him to lead this new nation. As Judah offers himself as a ransom for his brother we see that his transformation is now complete. He has gone from being the leading voice in a choir that led to Joseph’s exile, to being the only one willing to surrender himself in order to return Benjamin to his father. Judah has made a pledge to his father and he fully intends on keeping it. In this selfless act we see a foreshadowing of one of Judah’s future descendants – Jesus. So what does all of this mean for us? It means we have hope. 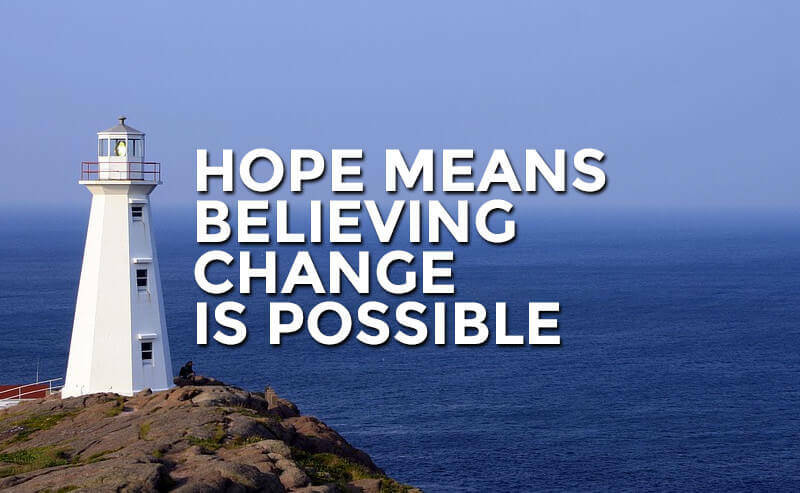 Hope is simply believing that change is possible. We cannot change on our own, but through this passage we see that God can change even the hardest of hearts. And if God can redeem a monster like Judah, he can redeem you and me.